I had just spent a really fun weekend in Austin, staying at my sister's place. 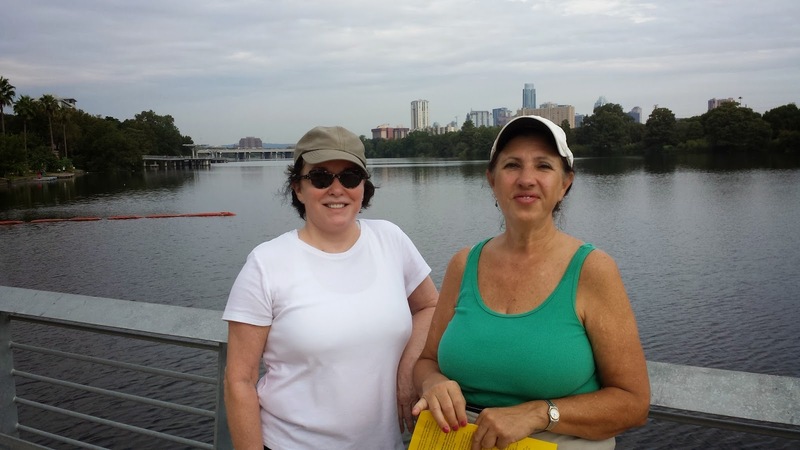 On Saturday we did a 10 KM walk a group was sponsoring that went around the newly built Boardwalk Trail which skirts the southern edge of Lady Bird Lake. 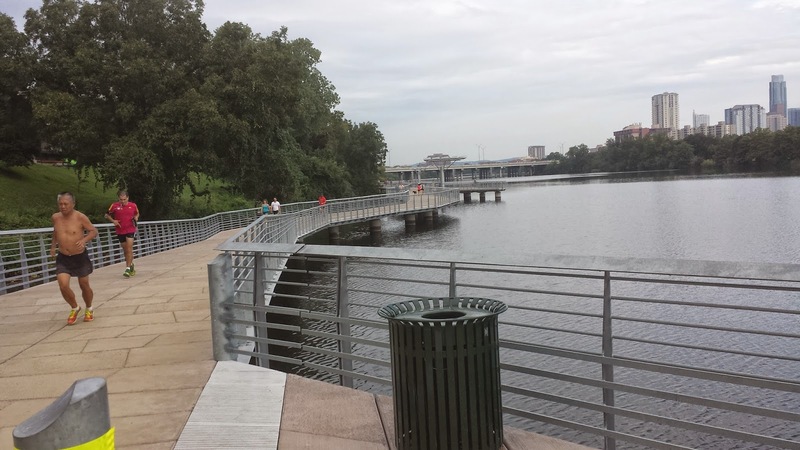 Part of the $23 million Boardwalk over Lady Bird Lake, Austin. My sister Victoria (left) and Camping Buddy Becky pausing during the 10k. 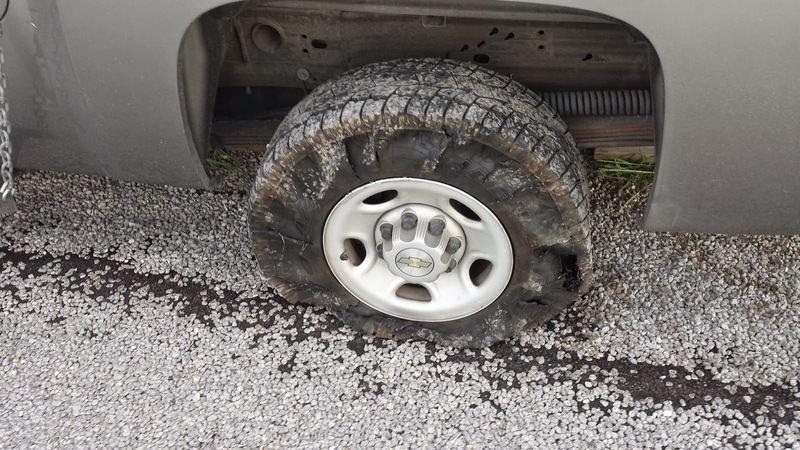 I guess I really shouldn't complain because in the entire 16 months I've been full-timing in the Tank this is the first mechanical problem I've encountered (and think of some of those BLM roads the Tank had to negotiate.). My daughter had given me a AAA Membership for Father's Day last year and I was at least smart enough to renew it when it came time so 45 minutes after I called it in a AAA wrecker came with a real car jack ( the ones GM provides are a joke and potentially dangerous to lift a truck with in my opinion) and the Tank was back up and running shortly after. Note to self: buy a decent truck jack next time I pass an O'Reillys or Autozone. If you're in Austin check out the Boardwalk Trail, it's pretty cool and a great walk (we did over 17,000 pedometer-measured steps during the walk).